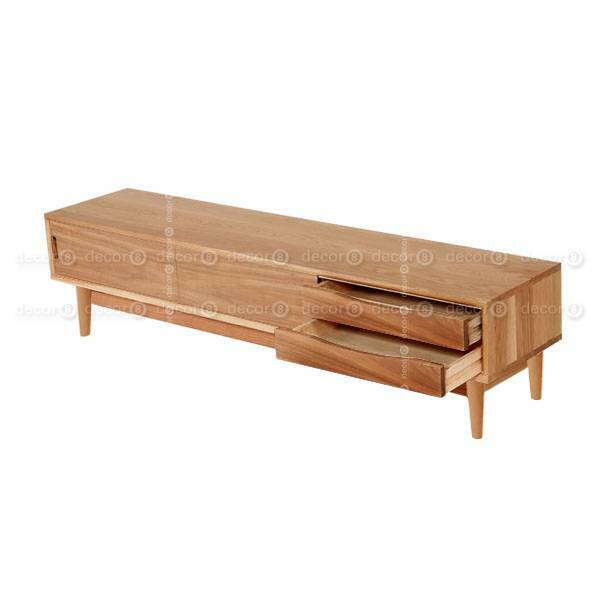 The Sawyer Solid Wood TV Cabinet and Media Unit is a lovely crafted multimedia unit with a narrow design. The makes a perfect addition to people with tighter living quarters. 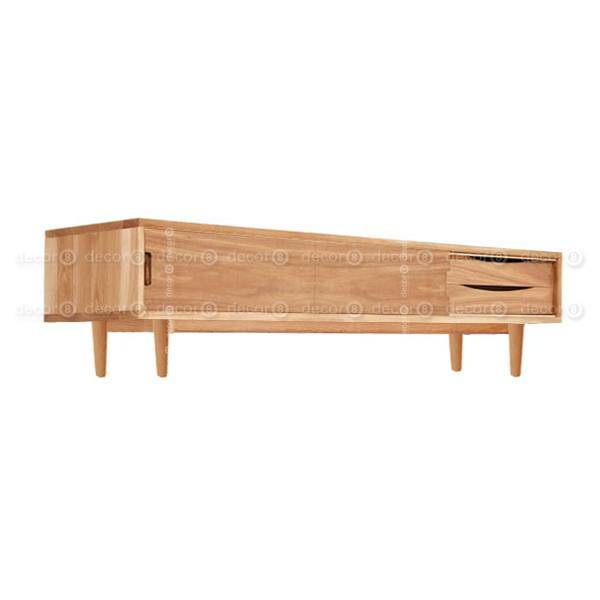 This TV cabinet is made with fine pristine solid oak wood imported from northern America, which makes it a long lasting piece of furniture. The light wood colour can easily be adapted in any room and brings a sense of calmness within it. This TV Cabinet is raised above the ground from a wooden frame with four equally measured tapered legs. For a narrow TV cabinet unit, this has quite a bit to offer in terms of concealed storage. It features two large concealed sections on the left side, whilst having a stack of two drawers on the right. The best possible placement for this TV cabinet is up against a wall. The great feature of this TV Cabinet is that it is built to withstand the weight of a TV at an appropriate size proportional to the cabinet. Whether you have the TV wall mounted or on top of the TV cabinet is entirely up to you. With the TV wall mounted, it gives you more space for your sound system, consoles, dvd players, blu-ray players, etc. 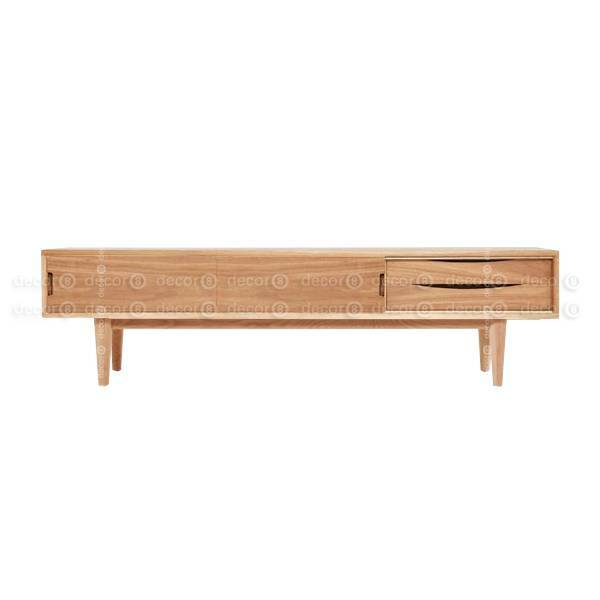 This TV cabinet can help compliment a room filled with light wood pieces when placed in a room with other oak pieces. The warm natural look makes the room more welcoming and inviting giving off a homey feel. 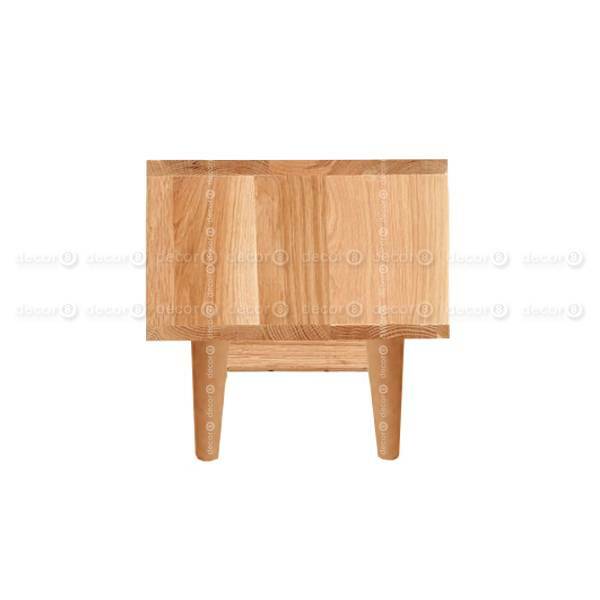 The production time of this cabinet is approximately 2-3 weeks so you may want to browse our other furniture pieces and have everything delivery at the same time.